It is never easy finding styles that can match your home as well as your budget. Luckily – Atlanta Vinyl Windows, Inc. and Simonton Windows work together to offer Atlanta’s Homeowners top quality windows, installation, and craftsmanship at affordable prices. 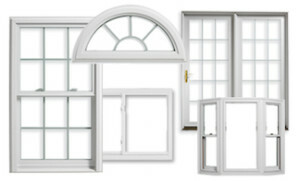 We are one of the top window installation company in Atlanta. Which window style fit your home the best? A great window for the hard to reach areas of your home, casement windows have a crank operating system, making it easier to operate, while allowing maximum airflow. With a classic appearance, single hung windows can be raised from the bottom to allow air flow, while the top part remains stationary. All windows are available in custom sizes to suit your needs. With geometric windows, you can design a unique look to add character to your home. Use these windows to create a focal point in your home or add more light to an area.